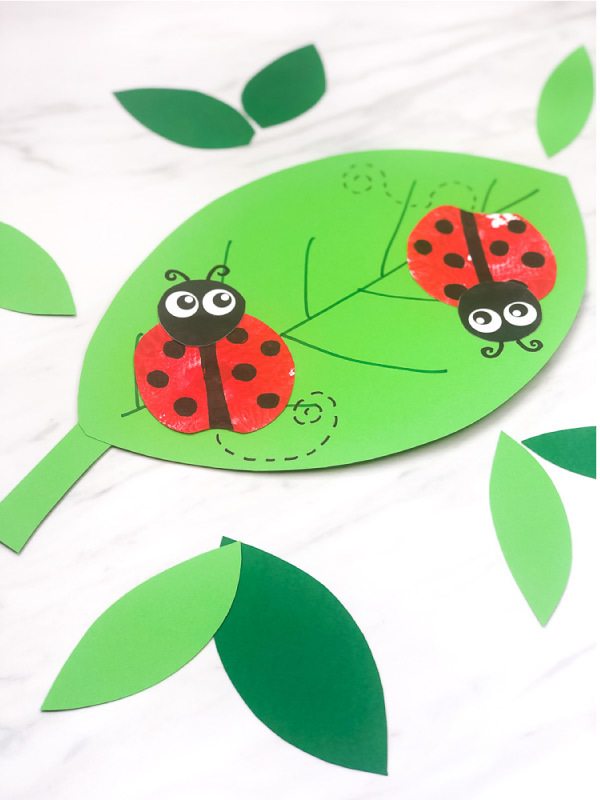 Inside: Make this fun and cute apple stamp ladybug craft for kids for spring or anytime you’re learning about insects! If you haven’t been following along lately, we’ve been doing a new unit study that’s all about insects. So far we’ve made this recycled bee craft for kids and had the kids play with this engaging insect sensory bin. 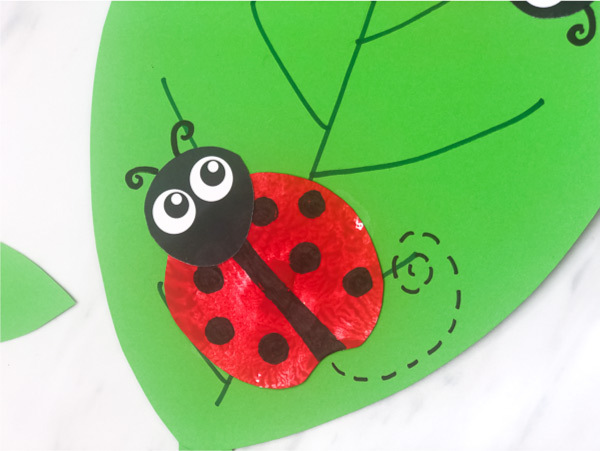 They’ve had a lot of fun so far and today we’re making one of the cutest bugs around- ladybugs! 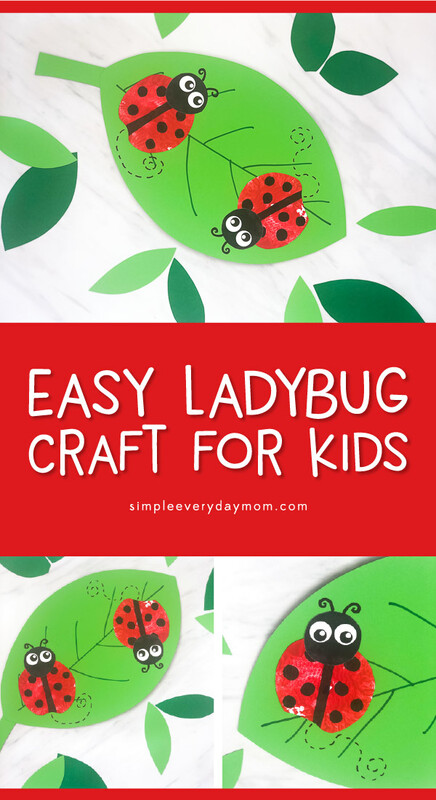 Read on below to see how to make this easy insect craft with your kids or students. 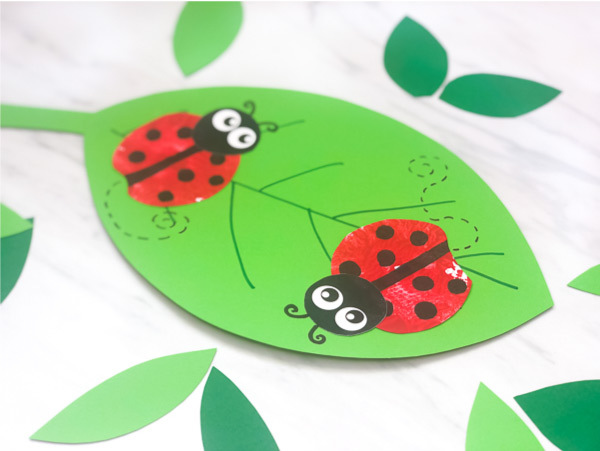 Download and print out the ladybug head template on the white card stock. Cut out the ladybug heads you want to use. Adults Only: Cut an apple in half with a knife to prepare for the craft. 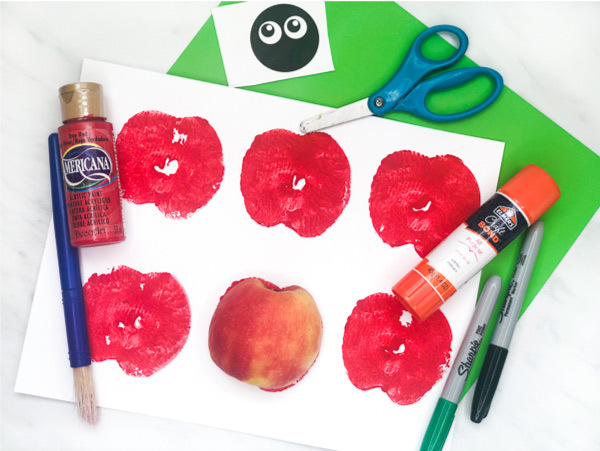 Paint the cut side of an apple with the red paint, then press it onto the white cardstock to make the ladybug body. Repeat for each ladybug you want to make. Using the black marker, draw spots and a line down the middle of the ladybug’s body. Using the green sheet of card stock, cut out a large leaf shape. If you want, draw a vein down the middle of the leaf and other veins branching outward with a green marker. Cut out the leaf stem and glue it to the base of the leaf. 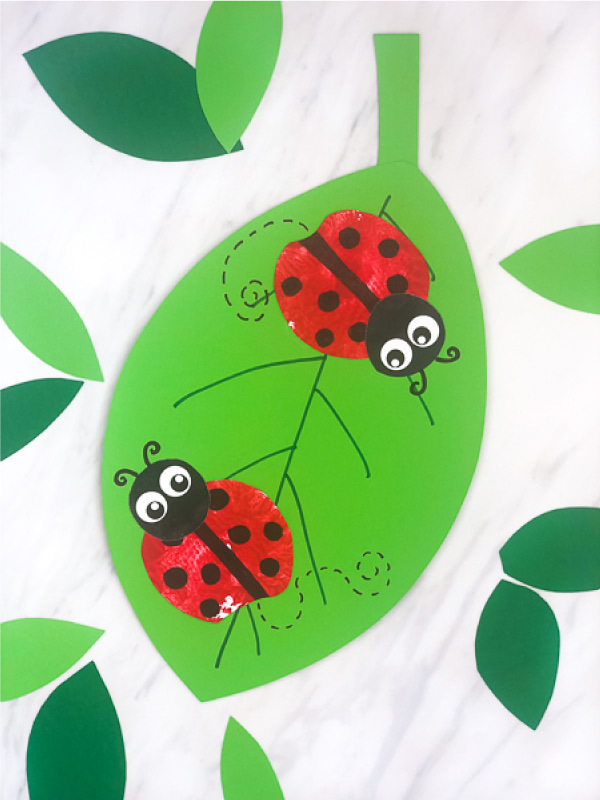 Cut out each ladybug body and glue onto the green leaf you made in step 8. 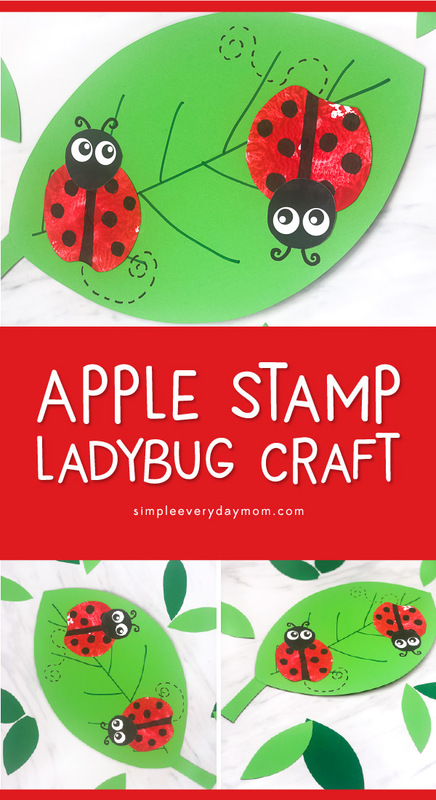 Glue the ladybug heads onto the top of each apple stamp. Using the black marker, add antennas and the flying trails. 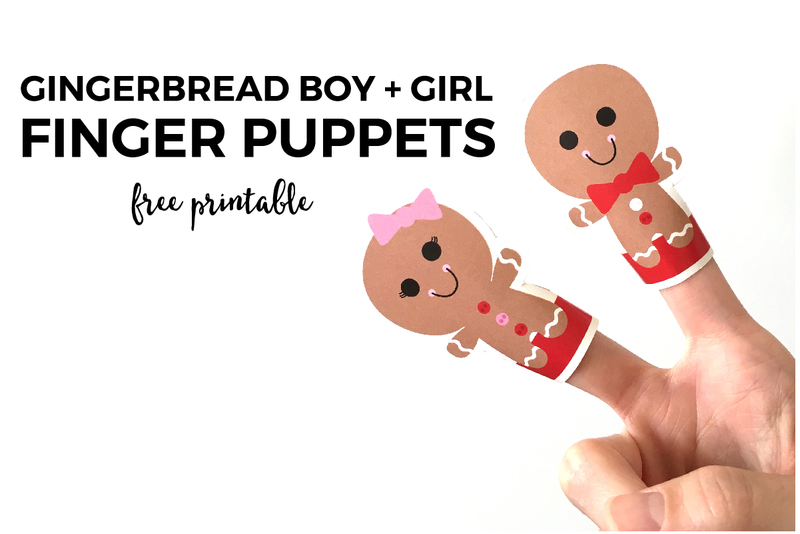 This activity is so simple and fun to make! It’s a great art project idea for spring time or whenever you’re teaching your kids about insects. 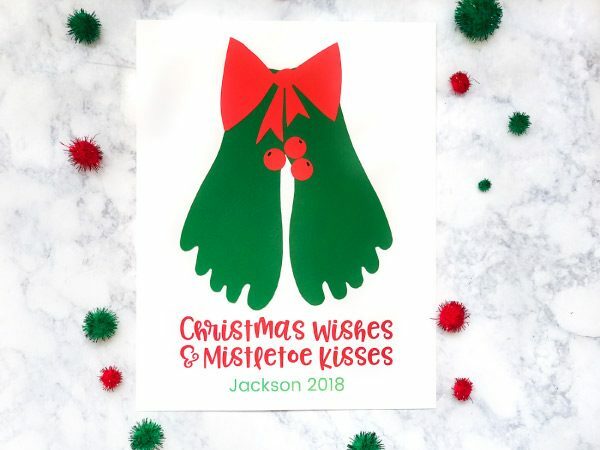 Don’t forget to download your free printable template by entering your email in the form at the end of the post.